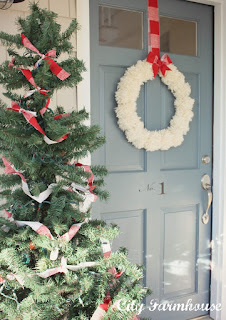 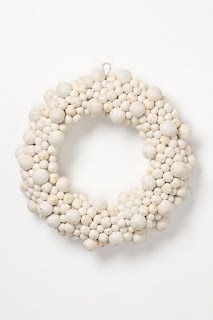 I believe the pom-pom wreath trend all started with this wreath from Anthropologie. 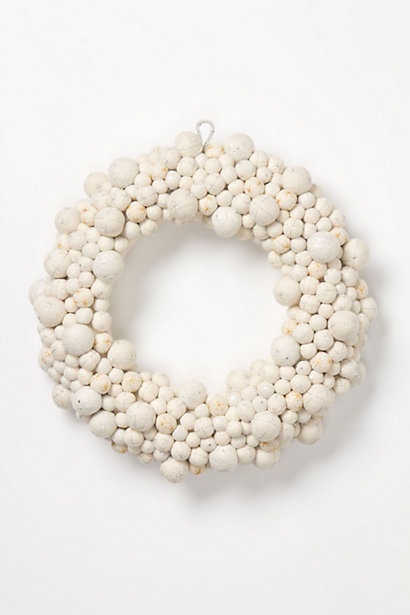 It sells for $298! Wow! 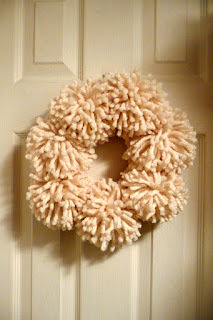 But leave it to crafters to figure out a way to make an alternative to the pricey Anthro pom-pom wreath. The one above was made by Linda at It All Started With Paint. 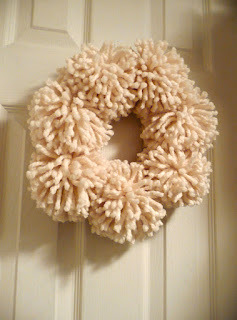 She has a tutorial for making this one on her blog. 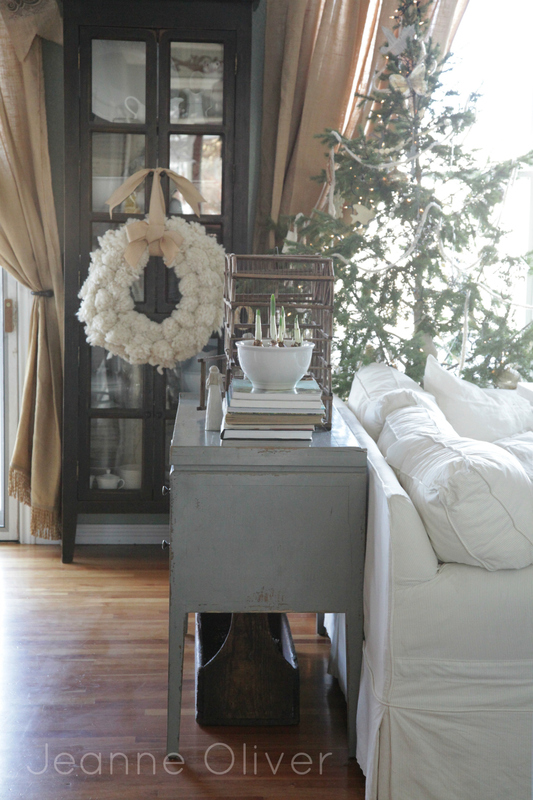 Jeanne Oliver has a large fluffy pom-pom wreath hanging from a curio cabinet in her home. Jennifer O'Brien made one to adorn her front door. And Jennifer Rizzo made this smaller version to hang on the back of her dining room chairs. 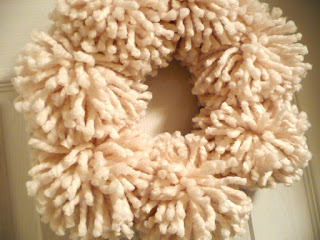 She also has a tutorial on her blog, which is the one I followed when making my pom-pom wreath. I decided to leave my wreath plain, without any ribbon or bow adornment. 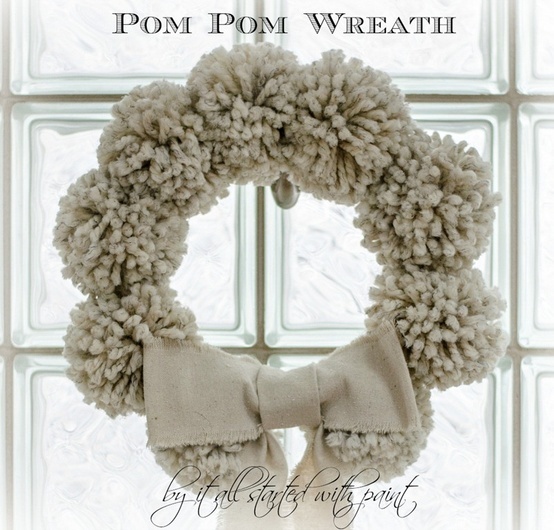 I just love the soft, creamy color of the pom-poms. 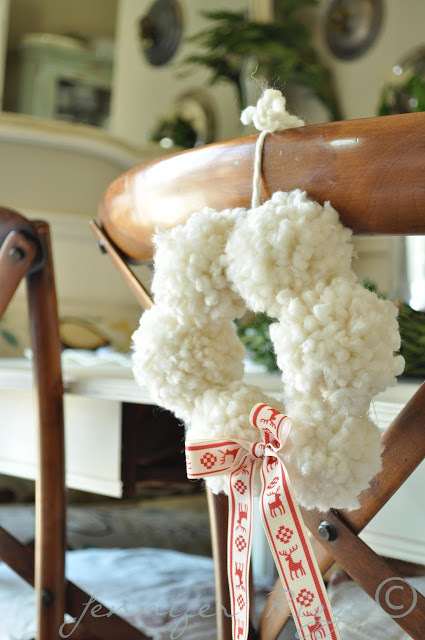 What have you been making for this holiday?